This pillow cover was the perfect way to update old throw pillows in our home to match our bedroom decor. 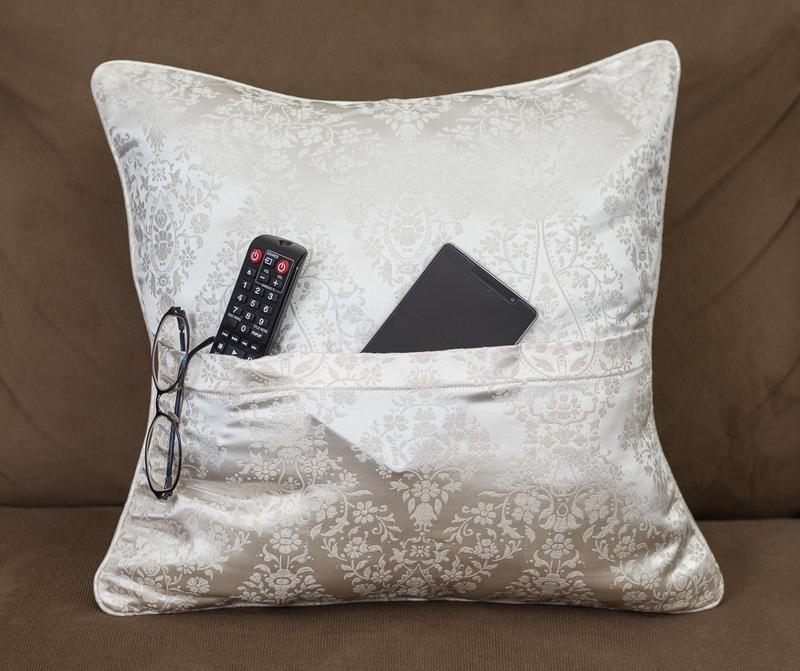 I love that this has pockets to keep our remotes in because they are always being misplaced around the room. This cover would also be great in the living room but like I said we used ours in the bedroom over an old toss pillow which you can see in the picture. 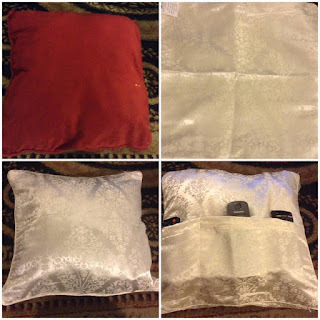 Easy to stuff either with an old toss pillow or filler. Nice zipper that pretty much disappears once zippered. This cover can be found on Amazon in two colors. A custom designed throw pillow (cushion) cover made of jacquard fabric which has three pockets sewn on to the outside to accommodate storage for a variety of small gadgets and accessories (remote controls, cellphones, glasses, etc). 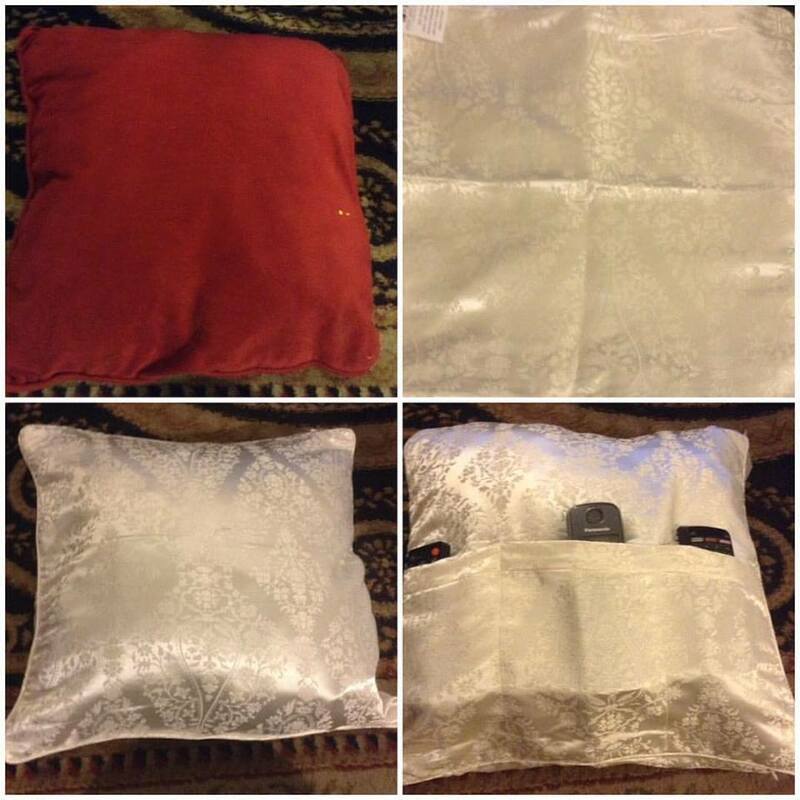 It's designed to fit over a standard size pillow (18in x 18in) and can easily be removed for washing. The pillow insert is not included. Disclosure: MarksvilleandMe received one or more of the products mentioned above as part of a promotion with Tomoson and Post and Beam Concepts. Regardless, MarksvilleandMe only recommends products or services we use personally and believe will be good for our readers. Some of the links in the article may be “affiliate links.” This means if you click on the link and purchase the item, I will receive compensation. If you would like MarksvilleandMe to review a product or service please contact us at marksvilleandme@gmail.com.